People attending the VR workshop will have a chance to learn about the work of the Faculty of Dramatic Arts Interactive Lab, as well as the 360 stereoscopic image techniques, photogrammetry and the latest trends in VR industry. The workshop will feature the latest works by Serbian filmmakers in this field and a discussion about future development of VR projects. Branko Sujić, associate art camera professor at the Faculty of Dramatic Arts will run the workshop. steps in filmmaking by talking about the first (lost) film by Makavejev, Jatagan mala (1953). The session will feature screenings of some early works by Makavejev: Pečat / The Seal (1955), Antonijevo izgubljeno ogledalo / Anthony’s Broken Mirror (1957), Spomenicima ne treba verovati / Don’t Believe in Monuments (1958). A Kino Club gem Ruke ljubičastih daljina / Hands of Purple Distances (1962) by Sava Trifković will also be screened. The idea for this event came from the text by Nikola Lorencin for the Belgrade Documentary and Short Film Festival 50th Edition, when Makavejev received his life achievement award. The topic of the Festival’s zero theoretical panel discussion will be documentary film that will hopefully create a fruitful debate about a subject that is hard to “catch” and place in theoretical framework. The idea is to create a basic theoretical framework for further consideration. A philosopher, anthropologist and film theoretician will discuss about the reality and capturing it on film, reflect on the omnipresent cameras, the Internet, shift of reality… the participants of this panel workshop about theoretical overpowering of the documentary film will be Professor Nevena Daković, film critic/dramaturgist Ivan Velisavljević and Relja Pekić from the Visual Anthropology Center. Prominent Croatian/Yugoslav film director Lordan Zafranović will, as a guest of the Belgrade Documentary and Short Film Festival 66th Edition, give a master class. Zafranović holds a master degree in film directing and is an alumnus of the famous FAMU film academy in Prague. He received multiple awards for his work, including two Golden Arenas for Best Directing in Pula. He is best known for his war trilogy consisting of Okupacija u 26 slika / Occupation in 26 Pictures, Pad Italije / Fall of Italy and Večernja zvona / Evening Bells. During the master class he will speak about the inner film form. He will illustrate with several construction plans and film clips from his extensive body of work. DOKSERBIA – Association of Documentary Filmmakers of Serbia is a professional association of documentary filmmakers and producers, headquartered in Belgrade. 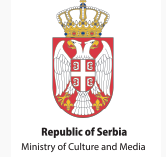 It achieves its goals by simultaneously acting at the cultural policy level and as a part of the production-organizational foundation, providing support for the huge interest of Serbian authors and producers for auteur documentary films, as well as to overall development, production and screening of domestic creative documentaries, both in Serbia and globally. The DOKSerbia information desk will offer a chance to: find out more about the Association and ways to become a member. You will also get a sneak peek into the latest documentary production catalogue. Five projects have been selected – one from each Festival category (Documentaries over 50 minutes, Documentaries up to 50 minutes, short, animated and experimental film). The entries are submitted via e-mail, lecturers/tutors select five most interesting and prepare individual consulting and development plan. The creators of the selected projects get the chance to develop their projects working with top national and international film experts. Film Cooking workshop will have ten tutors, two for each category (one national, one international). Each tutor works three hours on a project in his/hers area of expertise. Tutors: Michał Bobrowski, Maja Miloš (short), Wiola Sowa, Nikola Majdak (animated), Audrius Stonys, Nemanja Babić (short documentary), Boštjan Virc, Goran Radovanović (documentary feature), Ulrike Gerhardt & Milan Milosavljević (experimental). The participants of the panel discussion on documentary will be Boštjan Virc (about his experience in co-production), Aleksandar Govedarica (about sales), and on behalf of DOKSerbia, Iva Plemić Divjak with her impressions from Eurodoc and Eurimages, as the Serbian representative. Another topic will be the cooperation between RTS and Film Center Serbia, about the past year of broadcasting documentaries on national television, (with appropriate speakers). DokSerbia president Andrijana Stojković will speak about the association and its plans. Miloš Ivanović, the moderator, will speak about his experiences in production. Wiola Sowa and Michał Bobrowski, Festival’s guests and jury members of the Animated Film selection, will during their master class present their projects for all of those who love a good animated film and animation. Bobrowski will present his book Propaganda, Ideology, Animation. Twisted Historic Dreams, where he wrote about Serbian animation in one chapter. Sowa will focus on three key words: aetiology, inspiration and soul. Union of Film Animators of Serbia (UFAS) members will have a meeting after the master class. This amusing and dynamic one-day workshop for high-school students will create an opportunity for the participants to assess their knowledge about film and at the same time make their own short film! Awarded filmmaker and lecturer Miloš Tomić will run this workshop in his own, unique and amusing way. This workshop plays with short film clichés. It takes everything in the movies that annoys the participants: stories, acting, directing, music… and puts it in the short film they will make, playing, imitating, parodying these tropes and clichés along the way.